Today I'm trying Warsteiner Premium Dunkel, provided to me by the agency representing the brewery in the US. Brewed in Germany. 330 mL bottle. 4.8% alcohol. Best Before 21Nov14. 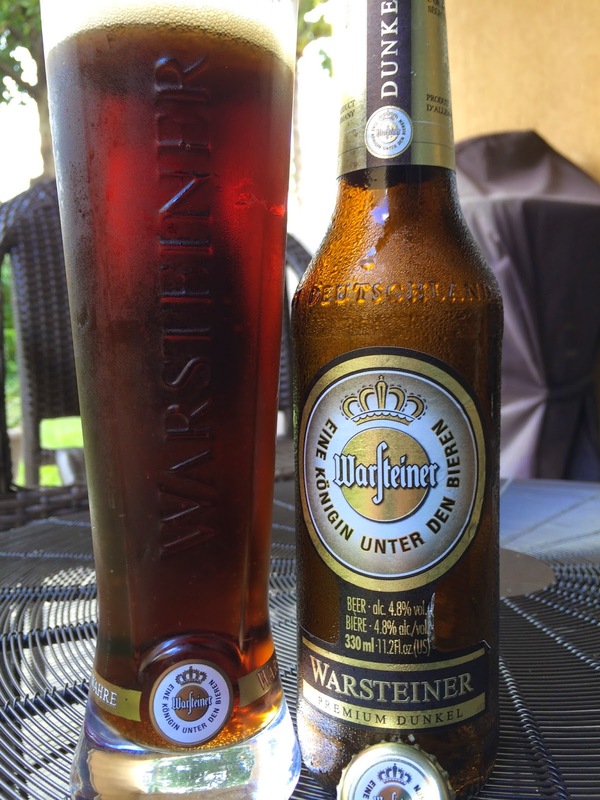 I reused the Warsteiner glass that the agency had sent with a previous sample. Pretty cool glass! Nutty, bread aroma with hints of herbal sweetness. Good roasted and toast flavors. Sweet with toffee and brown sugar yet hoppy enough to be balanced. The aftertaste leaves more of that herbal character lingering for a while. Decent body. Not bad.